Sometimes I feel like our house is an ongoing craft fair, so craft store coupons are always useful. 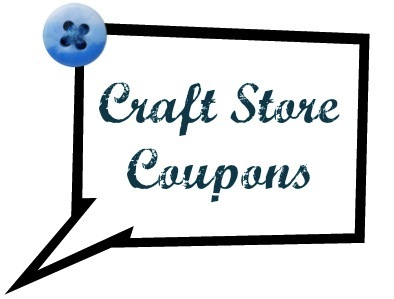 We try to never pay full price for anything and with most of the craft stores allowing you to show the coupon on your phone, you don’t even have to remember to print the coupon! Keep in mind most craft stores accept competitor coupons too. Often there’s a limit of one per customer. If you need more than one item take a friend, kiddo or spouse with you.